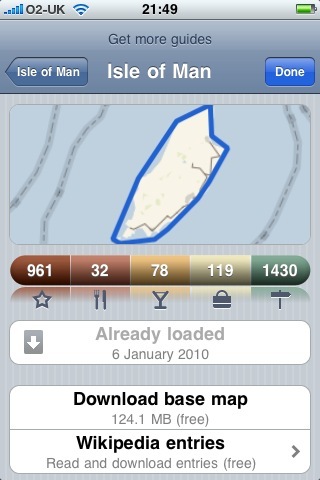 Looks like a good app, i'm going to isle of man in february so will check this out on the app store. Enjoy your trip! I hope the guide is useful to you while you're there. Are you using offmaps 2 or the original version? I am also visiting the Isle of Man in the next few months. The screenshots here are from the original version of Offmaps, but the maps and business data are there in the new version, Offmaps 2, as well. 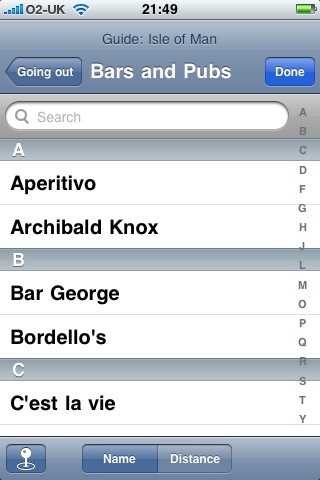 I think both versions will run in parallel for quite a while still, so you can take your pick between the apps. Thanks for the reply. I think I will download the v2 and see how I get on. Thanks for your help. Sees to me a good app, guys if i'm not misstaken can I download it, or should I find another version. Maybe you can advise me smth? Hi Susy. You should be able to find it in the iPhone app store. 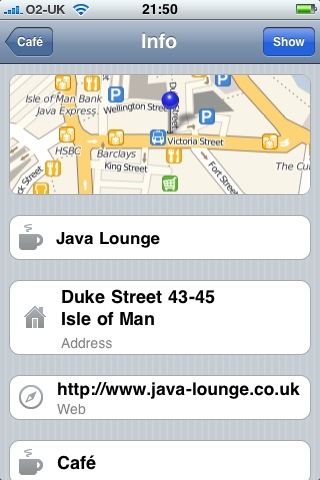 I'm planning on visiting the IOM with my boyfriend for the first time soon so this app is perfect. Thanks for the info! But then I realised the extra layer of Offmaps could be handy and looks interesting from a tourist point of view. Maybe even just to learn something new about your own city. I'm off to the App store to check it out... hmm 2 versions... The 2nd one is the one to go for. However it seems to limit you to 3 areas to download before you have to start purchasing more.